At the heart of everything we do is our Catholic faith. It shapes how we teach and permeates everything we do within and beyond the classroom. Learning what it means to be a Christian in general, and a Catholic in particular, distinguishes our students from their counterparts — it goes far beyond academics. The faith we help build as parents and educators will serve our children not only in this life, but the next, and it is by far the most important thing we do. There is no greater gift you can give your child than an excellent education that includes faith formation. 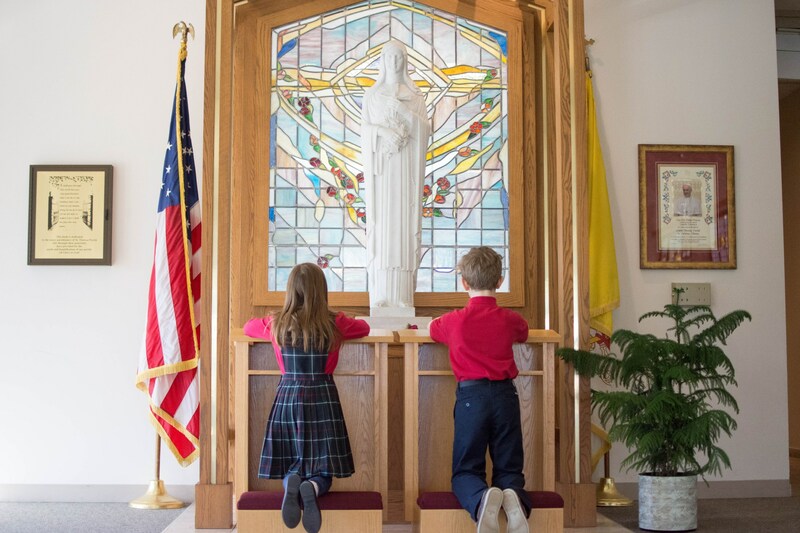 Catholic liturgy, Sacraments, traditions, and prayer are taught at St. Theresa School as an integral part of the school’s curriculum. Students in 1st grade - 8th grade attend Mass as a school community each Tuesday morning and holy days of obligation. Each week a different grade prepares and performs the weekly Tuesday morning Mass. Additionally, special Masses and liturgies are celebrated throughout the year. During these special Masses, our Kindergarten students attend with their teachers and middle school Mass buddies. There are special prayer opportunities throughout the school year for our preschoolers as well. 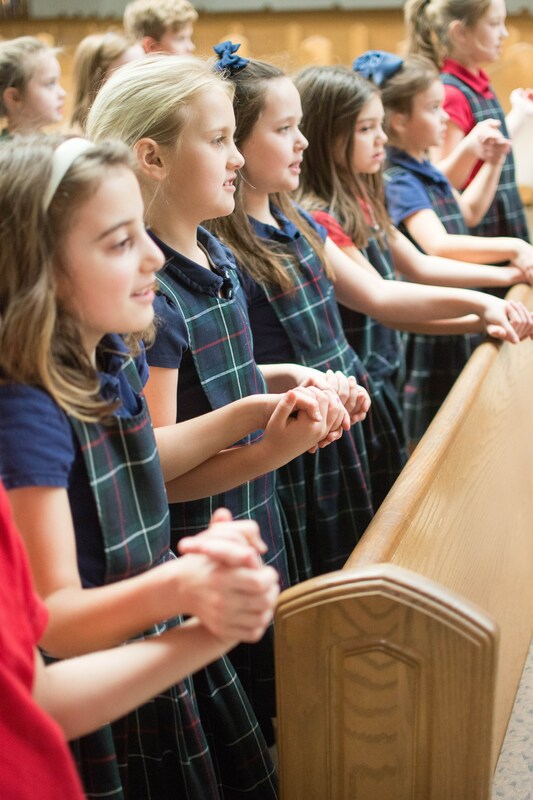 Parents, as an important part of our faith community, are invited to attend school liturgies. 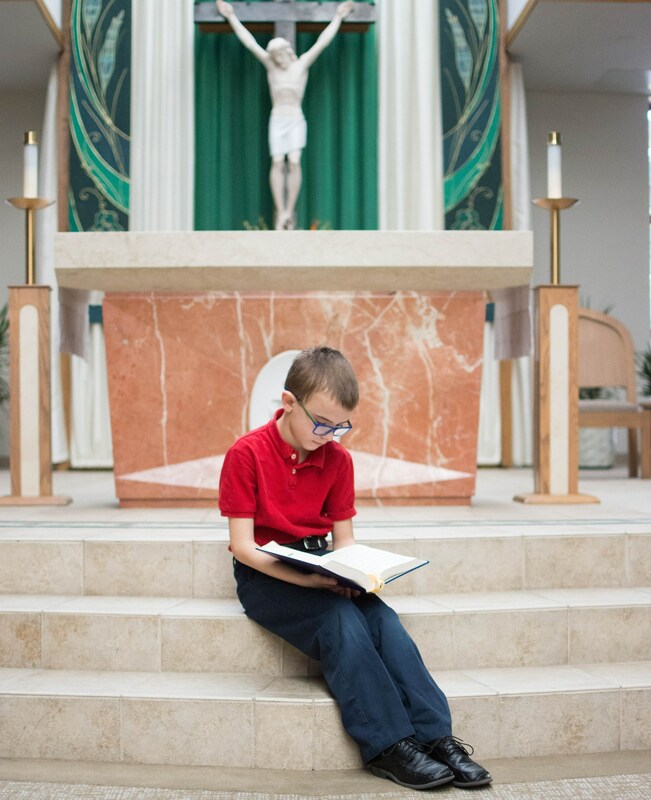 Faith Formation occurs not only in the classroom daily through traditional lessons, but is also accomplished through the entire lived reality of the school’s spiritual and social life. Our pastor, associate pastors and parish deacons are intricately involved in the day-to-day faith experiences, liturgies and life of the school. Our patroness, St. Therese of Lisieux, teaches us to care for others in little ways and shows us that we all have an important role in sharing the Truth and God's goodness. From a dynamic weekly Mass to daily prayers, and numerous social and spiritual opportunities, St. Theresa School is filled with spirit. Sacraments are for the Church, by the Church and for the Church. Through the Sacraments, Christ's actions are at work through the mission of the Holy Spirit. Parents have the primary privilege and responsibility of faith formation for their children. In support in working with the parents and the parish community, we play an integral part of the formation and preparation for the reception of Reconciliation (Confession), First Holy Communion and Confirmation leading up to the reception of the Sacraments within the parish community. These graced Sacramental celebrations are memorable, intimate, and truly special for our students and families alike. 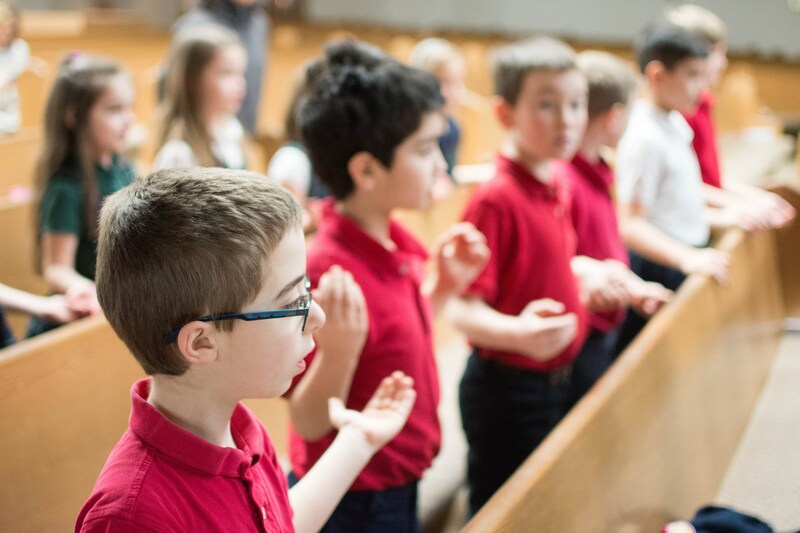 Daily religious formation in 1st and 2nd grade helps to prepare the students for the reception of First Reconciliation during the Advent Season of 2nd grade and First Holy Communion in May of 2nd grade for St. Theresa Parish. Daily religious formation in 7th and 8th grade helps to prepare the students for reception of Confirmation in late winter/early spring of the 8th grade year for St. Theresa Parish. While St. Theresa School is an extension of our Parish, emphasizing Catholic teachings, virtues and traditions, we also value diversity and respect for those of all faiths.